Using RFID technology in conjunction with an equipment GPS tracker will help locate where your assets are in real time. This type of information at hand can help you utilize assets or redeploy them quickly and efficiently instead of spending valuable time searching for them. Maintain your visibility of remote assets where ever and what ever they are. 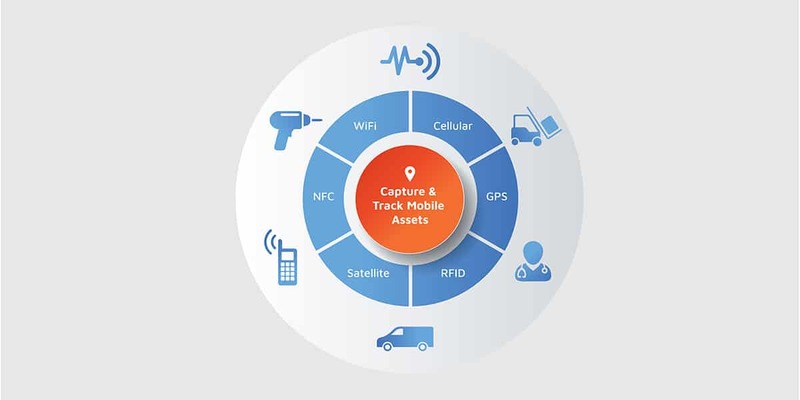 Step Global can help you implement a track and trace solution using multiple IoT technologies including, RFID, Cellular, Satellite, Wifi or Bluetooth providing you with improved situational awareness, through real time tracking. This also improves operational efficiency by providing you with an “at a glance” view on all your fleet and mobile assets, such as car or truck fleets, hand and power tools as well as equipment and machinery. Maintain visibility of your remote assets whatever they are – power tools, lighting equipment, power generators, mobile plant equipment – anything that moves. Ensure your maintenance and support teams are not spending time trying to find assets. Be alerted of events such as “unauthorised movement“ or “movement out of a geo-zone“. Effective group management means simple operation for large fleets of assets. RFID technology has emerged over the last decade as an efficient means of detecting and tracking retail products, medical consumables, airline baggage and many other types of tangible goods. RFID for asset tracking can be used where line of sight to the object being tracked is not available or desired, or when data stored on the object requires modification by the reader. Step Global provides full RFID detection and analysis solutions to your medical facility. We are focused on understanding your specific needs and identifying the best, right-sized solution to meet your requirements and exceed your expectations. Management of inventory can be a real struggle for Suppliers in every industry and typically many suppliers use a mix of technology and manual processes to determine stock levels and locations to best service their customers. Too much inventory can have a real impact on costs and can negatively hit the bottom line, whilst situations of out-of-stock scenarios can result in lost sales and negatively impact the end-user. Using RFID technology in your asset and inventory management can help maintain the right levels of inventory with ensuring the right products are in stock at the right times.